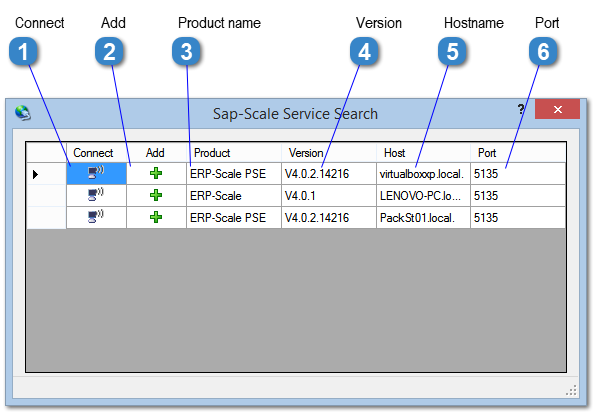 Click this button to connect to the Sap-Scale Service and open it in the utility. Click here to add this Sap-Scale Service to your favourites list. The name of the product installed on this PC. The version of ERP-Scale installed. The hostname where ERP-Scale is installed. The port the Sap-Scale Service is listening on.